For going our own way through life we all need our legs that carry us to wherever we want to go. In the case that someone has a physical handicap here in Europe, there are still many ways to support this person with tools and special training in order to make it possible that they can go to school and educate themselves. To be born in Kenya with such a handicap means that you will not be part of society. It means that parents feel punished by having such a child and it means as well that nobody is interested in paying for expensive aids. These children do not get the chance to go to school or to try out what it means to live. Many of these children are given to orphanages where they do not have the capacity to give them the extra support they need. The Rainbow Children Center is the first center in Kenia taking care of handicapped children. They provide not only a bed, but also access to school and people who are qualified to support the kids with their special needs. Geert Schröder who founded this project in 2017 also runs an orphanage in Njoro. This orphanage is called Salama Malaika Childrens home. Sarah and Geert got to know each other in 2012 when Sarah worked as a volunteer for Malaika in Kenya. This is the second project in Kenya run by an association founded by Geert. 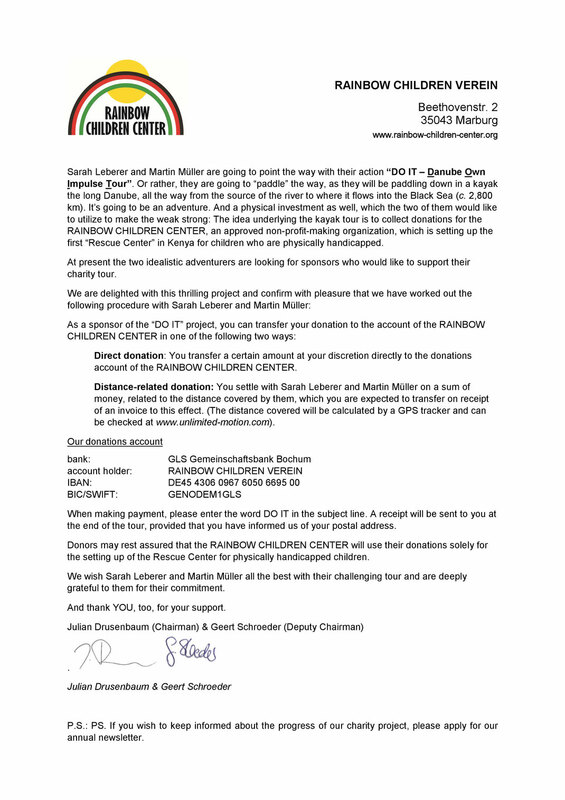 We know from our own experience that Geert and the people that work for the association of the Rainbow Children Center are doing a very valuable job. Geert’s big focus, on the one hand, is to change the situation for the children in the current moment, but also to make a project that will grow sustainably. The aim of the project is to reduce the number of children that are suffering from not getting the chance to achieve anything in life merely because of a handicap.